As part of the Creative Times project, in Autumn 2015 I led a series of workshops in 3 locations across South West England for the organisation Superact. 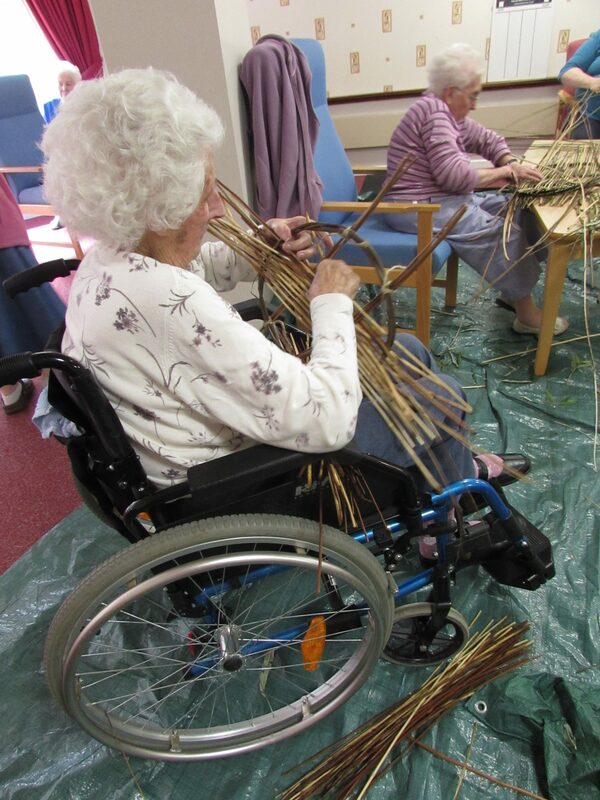 The project aimed to combat isolation and enhance quality of life by making creative activity accessible to older social care residents. 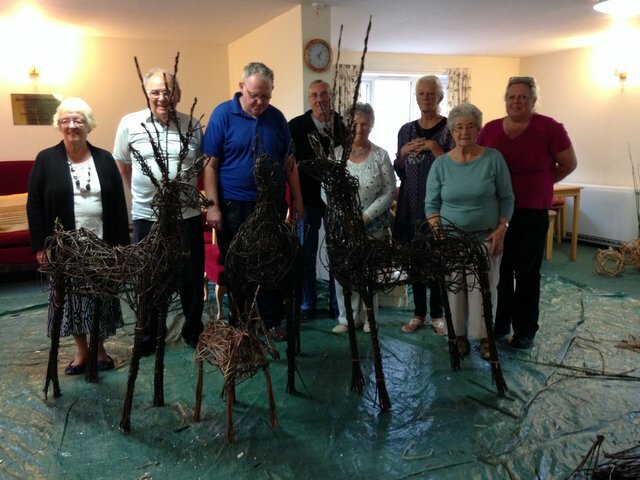 Helping older individuals of varying abilities, we created a willow peacock, reindeer, Christmas globes and a sundial. I was incredibly impressed by the determination and creative ambitions of all the residents that I wove with! 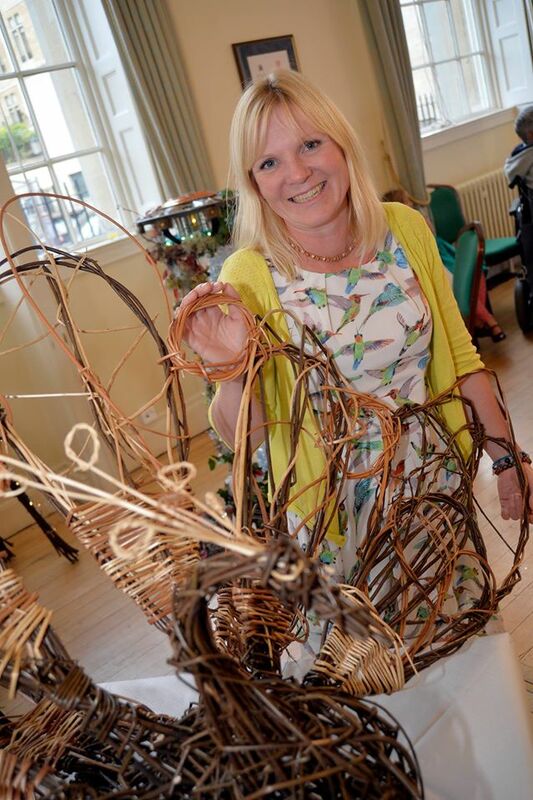 The finished willow sculptures were displayed in a festival of creativity at the Guildhall in Bath where participants, artists, Guinness professionals and members of the public came together to admire and celebrate what had been achieved. I was immensely proud that one of my willow peacock weaving ladies was awarded the prize for best creative contribution to the Creative Times project. Thank you to Superact for this opportunity, to Helen Webb at the Guinness partnership for her vision and of course to all the amazing ladies and gentleman who learnt to weave willow with me and create such fantastic sculptures! 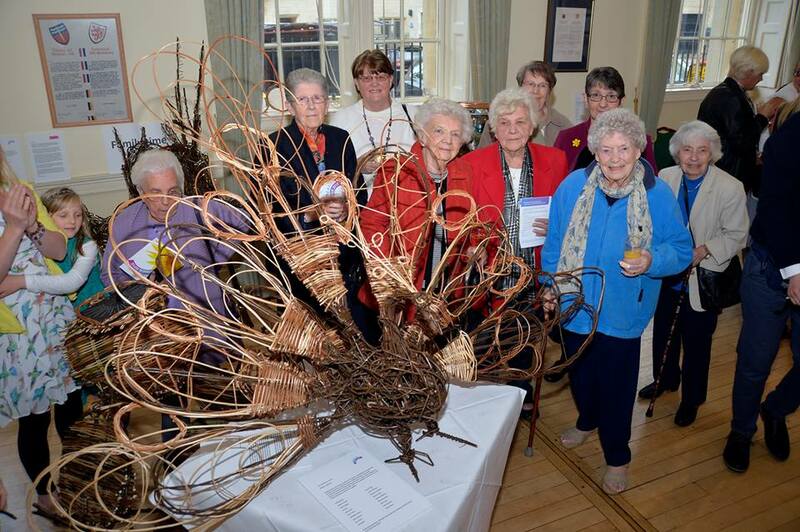 Bath residents with their willow peacock at the Guildhall Exhibition, Bath. 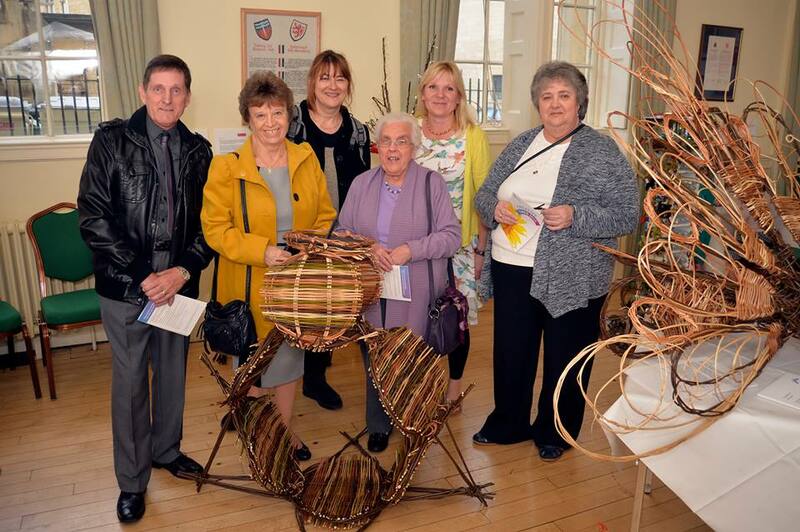 Devizes residents with their willow sundial at the Guildhall exhibition, Bath. 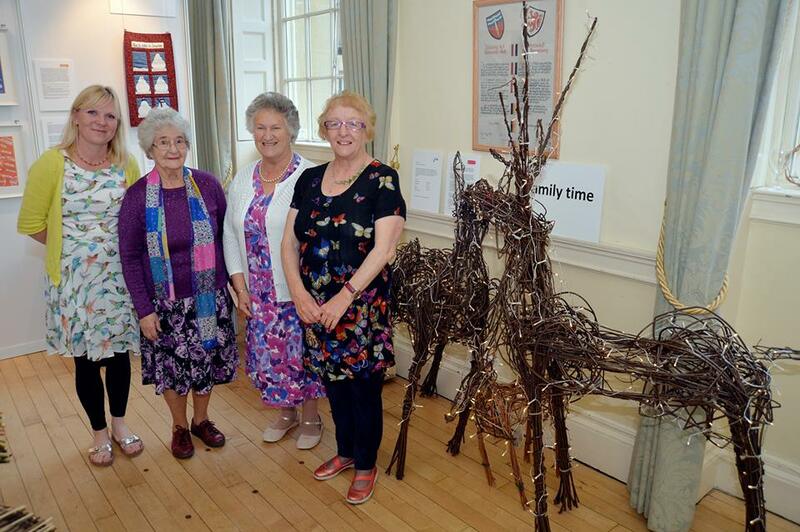 Trowbridge residents with their willow reindeer at the Guildhall exhibition, Bath. 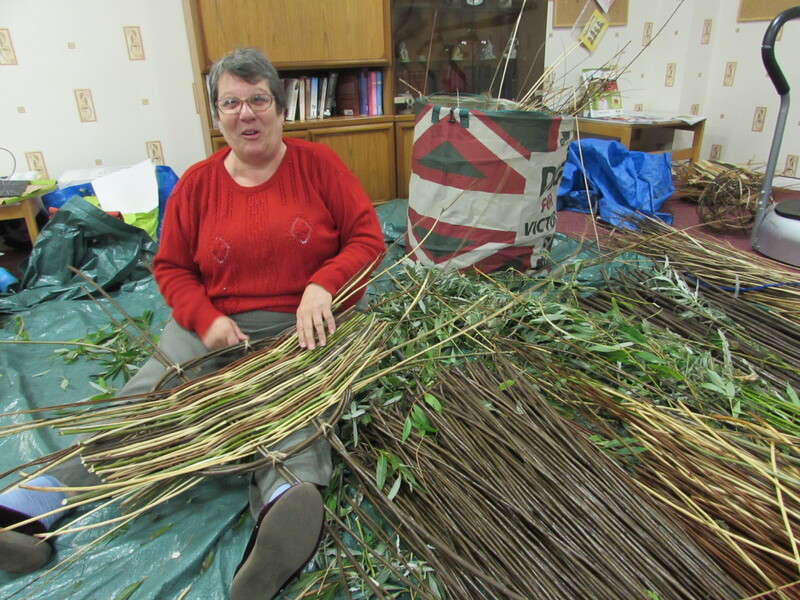 Creating willow Catalan platters that became a sundial sculpture with residents at Devizes. 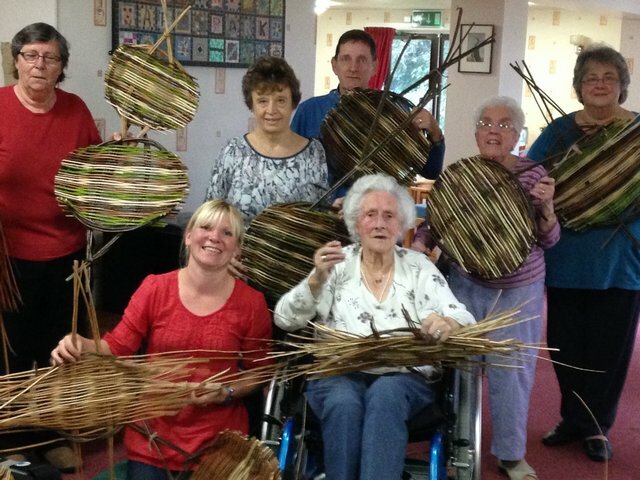 Bath residents making feathers for their willow peacock. 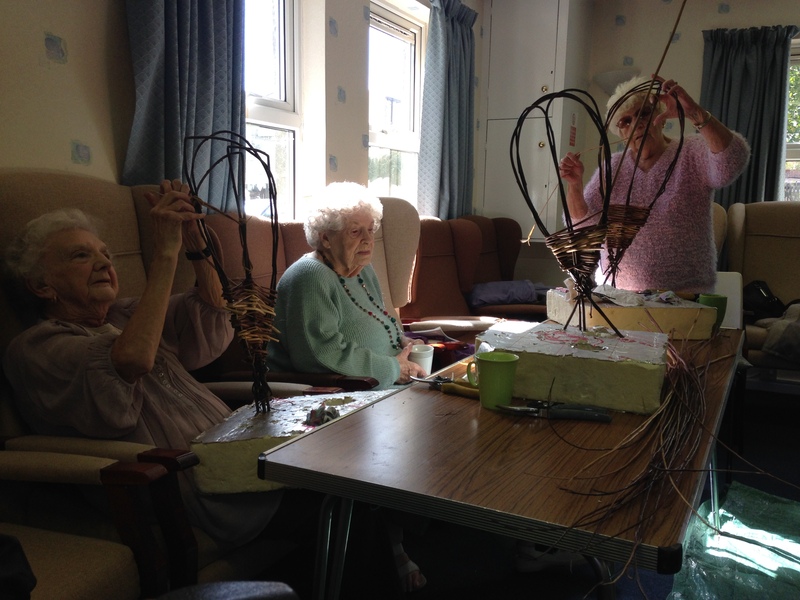 Trowbridge residents making willow reindeer.